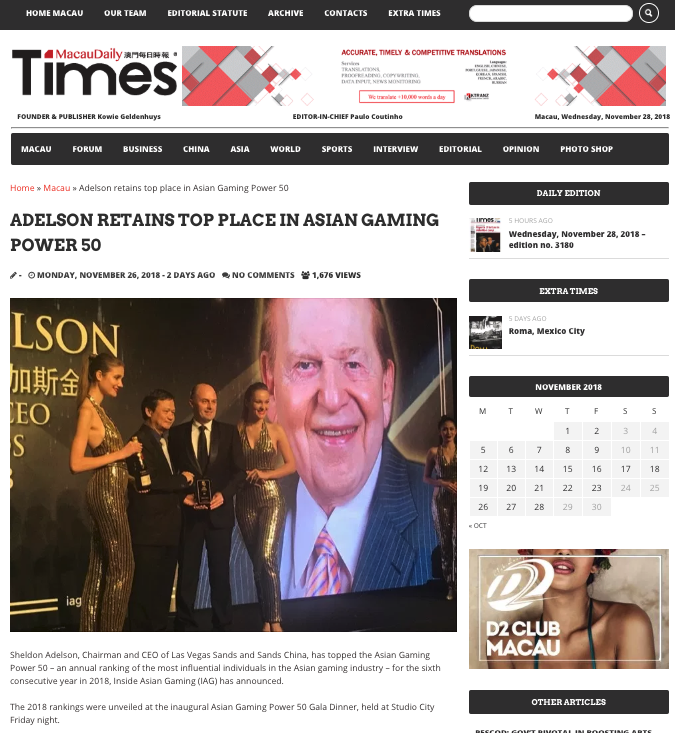 The countdown to the 2019 IAG Asian Gaming Power 50 Gala Dinner is on! 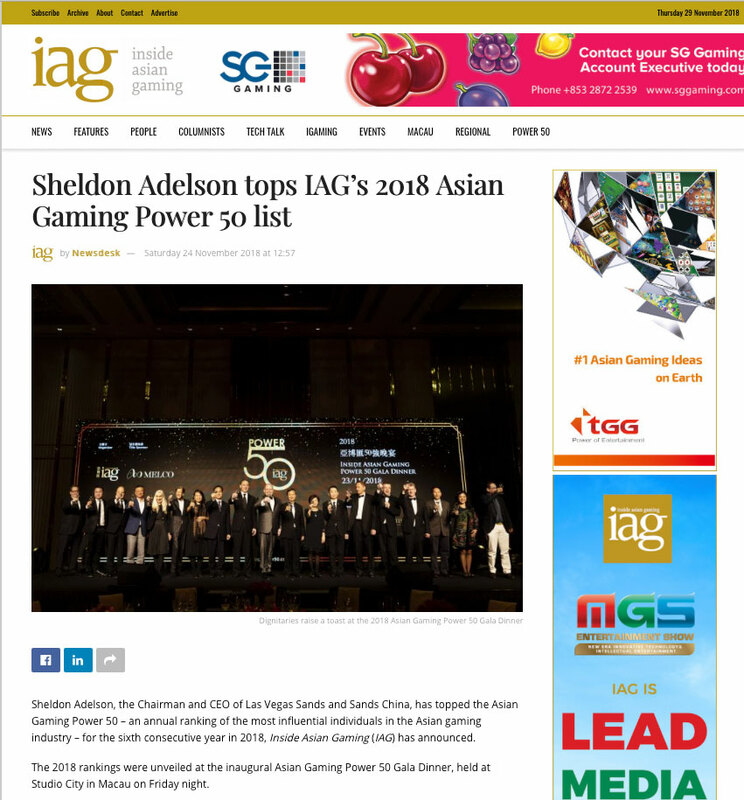 The Inside Asian Gaming Power 50 generates substantial interest in the print and broadcast media, as shown below. Contact Jadeson Ho on +853 2883 6497 or ads@asgam.com for sponsorship opportunities.  Contact Caroline Iau on +853 6667 8511 or ci@asgam.com for ticketing and table booking.